We love noodles; soba, ramen, yakisoba, udon, etc. These Japanese cuisines are well received also outside Japan. Today’s feature is “Marugame Seimen” which has been making a rapid growth for the udon noodle business. Toridoll opens about 120 new branches per year (including other brands of Toridoll) and this makes 1 every 3 days. The sales have tripled in the last 5 years. Sales figure which is 73 billion yen for the year of 2012 shows that the company is in top form. Like any other udon shops a unit price for any dish of Marugame Seimen is very low. 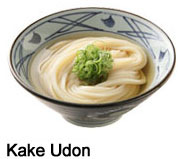 It is only 280yen (US$2.8) for a regular bowl of Kamaage Udon. The total cost together even with other side dishes like a salmon omusubi (120yen=US$1.2) and an eggplant tempura (80yen=US$0.8) makes 480yen (US$4.8). With a coin of 500 yen 20 yen still comes back. Their enormous popularity is not only the cost. The noodle has elastic body which is the key for the noodles and is made out of the flour every morning at each location and each has a noodle-making machine which enables them to offer freshly made udon daily. The soup for the noodle is also made out of konbu seaweed and dried bonito. 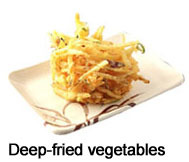 Tempuras and deep-fried vegetables which require a lot of cuttings are also freshly made at each branch. 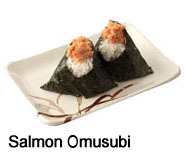 Every single omusubi is not machine made but is pressed by hands. The employees of Marugame Seimen start working one and a half hour before the opening hour and the number of staff at each shop is more than other chain shops. This method of home-making is epochal to the food service industry as the central kitchen system has been common for its efficiency. But Mr. Takaya Awata, the company president, explains their way is more efficient in the long run as they are able to control the conditions of delicate noodles and offer tasty, fresh food which the customers can witness in front of them in the open style kitchen. 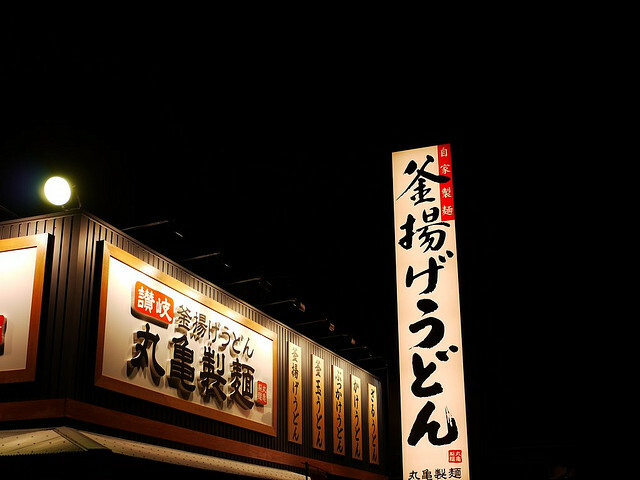 Only in this way, the enormous number of customers they have pulled in so far become possible and they have reasons to come back to the Marugame Seimen. Another important aspect of the services of Marugame Seimen is the high employment rate of the middle-aged and older part-timers. They have a certain life experience and are able to have smooth communication with their customers. They have also sensitivity for the others. A middle aged woman part-timer who became a shop manager for her hard work brought in many high chairs and a kitchen scissors to cut the long udon into pieces for little children. Her service spirit out of her sensitivity has made young parents fully satisfied. Marugame Seimen deserves credit for it has built the culture where those who are considered week in the society can shine.